In 1964 a few ardent devotees of LORD AYYAPPA assembled in the house of Shri K.Narayanan Nair in HAL New Township. A Committee under the convenership of Shri A.Vasu was formed. A regular committee was later formed with Shri C.N.Pisharody, President, Shri K.P.Das, Secretary and Mr.Babugopalan as treasurer. Saturday Bhajans were held in the houses of Devotees. The First Ayyappan Vilakku was organized during the year 1964 at HAL New Township, Marathahalli. Sree Ayyappa Bhajana Sangham was registered under the Societies Act in 1971-72. HAL Management was very generous in allotting land for the temple in HAL Old Township. The plan for the temple, idol of Lord Ayyappa, Lord Ganesha and Goddess Devi were made by renowned Temple Architect Shri Kannipayur Krishnan Namboodiripad. The foundation stone for the temple was laid on 27th October, 1976. The Prathista of Nagaraja and Nagaekshi along with Prathista of Navagraha was performed during April 2004. 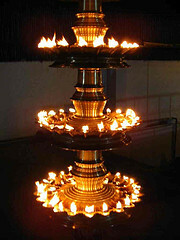 The Prathista of Venna Krishnan was performed during June 2010. The Prathista of Lord Ayappa, Lord Ganesha, Goddess Devi was performed on Punardham star of Medam 1977. The Prathista of Lord Subramanian was performed during 1980. Punarprathistha for Lord Ganesha, Goddess Devi, Lord Murugan and Lord Ayyappa was performed on Anizham star of Midhunam 2014. All the above Prathista was performed by Brahmhashri K.P.C Vishnu Bhattathripad. Dhuvajastambham was installed and Mukhamandapam was constructed during the year 1987, with this the temple becomes a Mahashetra. Every year UTSAVAM is conducted for six days with Kodiyettam on Punardham Star and ARATTU on Uthram Star during the month of Vrichikam. Ayyappan Vilakku is celebrated every year on second / third Saturday of December with Panchvadyam and Double Thayambakam by famous artists. The First Srimad Bhagawada Sapthaham was performed during the year 1995 and every year Bhagavada Sapthaham is performed during the month of Medam. The First Devi Mahatmayam was performed during the year 2004 and we propose to continue this every year. 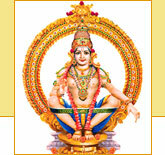 Annadanam is conducted on all the 41 days of MANDALAM. Every year a grand Devotional Song Programme by some famous singer is performed on Makara Vilakku Day i.e., on 14th January. In addition to regular poojas the following poojas like Udayasthamana Pooja, Aiyillia Pooja, navagraha Pooja, Divasa Pooja and Sarva Aiswarya Poojas are performed. The services of temple priests are extended to the devotees who are staying in and around HAL Township for performing poojas at their residence. Devaprasanam / Ashtamangalya Prasanam are regularly held and remedial actions are taken to rejuvenate the Chaitanya of Lord. The temple timing is 5.00 AM to 10.30 AM and 5.30 PM to 8.30 PM during week days and 5.00 AM to 11.30 Am and 5.30 PM to 8.45 PM on Saturdays. The temple is administered by a Managing Committee duly elected once in two years during the Annual General Body Meeting.